Golf lovers rejoice this fall at Mexico’s Casa Velas resort, featuring unlimited golf, daily spa credits, city tours and more. With the package, guests enjoy unlimited time on the turf at Marina or Vista Vallarta’s championship golf courses. The 18-hole Marina Vallarta course offers 6,701 yards and a par 71 layout designed by Joe Finger. Vista Vallarta, a short drive from the hotel, has two courses. The easier Jack Nicklaus 18-hole course is a par 72 with 7,073 yards with grassy hillsides, a dense forest of Palm and giant Ficus trees and natural creeks. The Tom Weiskopf course, also 18 holes, is a par 72 with 6,976 yards and a more extreme terrain of dense jungles, deep ravines and swift creeks. Additional discounts include $30 USD spa credit per adult per night, 10% off at the Resort Boutique, and a guided City and Shopping Tour or Cultural & Tequila tour. Nightly rates start at $190 per person per night, based on double occupancy. At Casa Velas luxury accommodations, gourmet meals, premium liquor and wine, 24-hour suite service, use of the fitness center facilities, WIFI, taxes and gratuities are included in a single price. $55 cart fee is not included. For more information on Casa Velas, please call 1-888-407-4869 or visit http://www.hotelcasavelas.com. Set amidst lush landscapes and Atlantic beachfront shores, Ponte Vedra Inn & Club invites golfers to put themselves to the test on its two championship 18-hole golf courses with its new Unlimited Golf Package. Designed in 1928 by famed British architect Herbert Bertram Strong, the Ocean Course is a par-72, 6,811-yard course, with 99 strategically positioned sand bunkers. 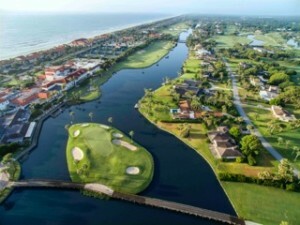 A par-70 course, the 6,022-yard Lagoon Course was co-authored by two design geniuses – Robert Trent Jones with the front nine holes in 1961, and Joe Lee with the back nine holes in 1977. In 2007, Bobby Weed fully restored the layout, including new tees, fairways and greens, routing changes on several hotels, new turf standards, improved irrigation and drainage, and a greatly enhanced landscape theme where water is a dominant feature on 11 holes. The resort complements its golf offerings with newly-refreshed oversized guest rooms and suites, most overlooking the Atlantic Ocean. The luxury resort also offers nine restaurants, bars and lounges ranging from gourmet to casual; 15 Har-Tru hydro tennis courts; three oceanfront pools; and a 30,000 square foot luxury spa. 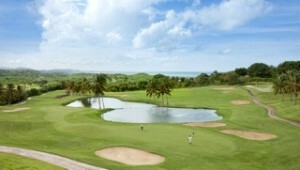 The Unlimited Golf Package is available for two guests per reservation and starts at $259 per night. Cart fees are not included. For more information or to make a reservation, call 888-839-9145 or visit www.pontevedra.com. For an unforgettable golf experience, El Conquistador Resort & Las Casitas Village, Waldorf Astoria Resorts in Puerto Rico, offer an Unlimited Golf Package for golfing aficionados on the Island of Enchantment. To kick-start the day, complimentary breakfast is included before hitting the resorts’ renowned Arthur Hills designed 18-hole golf course. With the breathtaking Atlantic Ocean and El Yunque Rainforest as its backdrop, the 6,800-yard par 72 championship course boasts perfectly manicured links on rolling hills lined with swaying palms. When not on the course, golfers can enjoy luxurious spa treatments at the Waldorf Astoria Spa; relaxation or watersports on the resort’s 100-acre private island; thrills at the state-of-the-art seaside Coqui Water Park; and more. Nightly rates start from $289 at El Conquistador Resort and from $349 at Las Casitas Village with the Unlimited Golf Package, including golf fees per paying adult. For reservations or more information, please call 1-888-543-1282 or visit www.elconresort.com and www.lascasitasvillage.com.